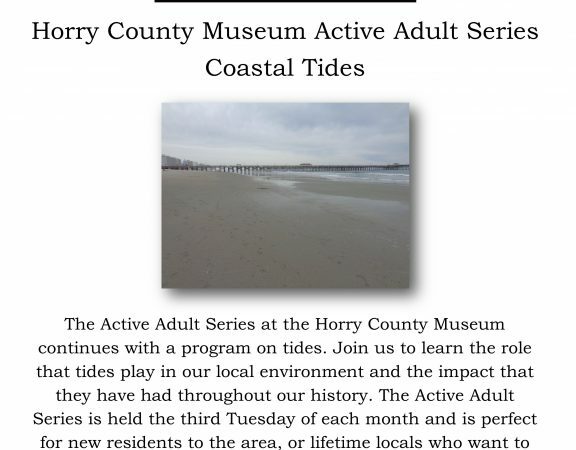 The Horry County Museum and the AVX Foundation present a lecture by Alan-Jon Zupan from the South Carolina Geodetic Survey. 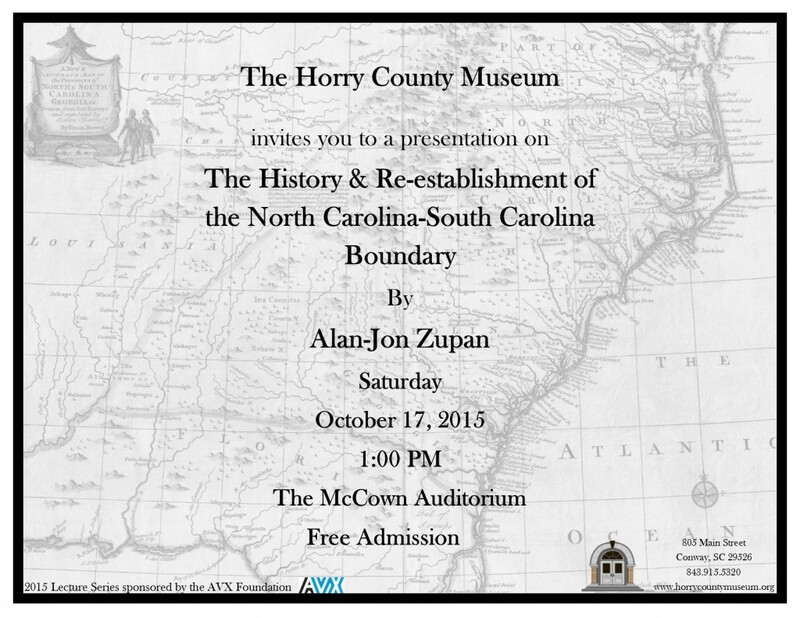 Mr. Zupan will discuss the history and re-establishment of the North Carolina-South Carolina Boundary. 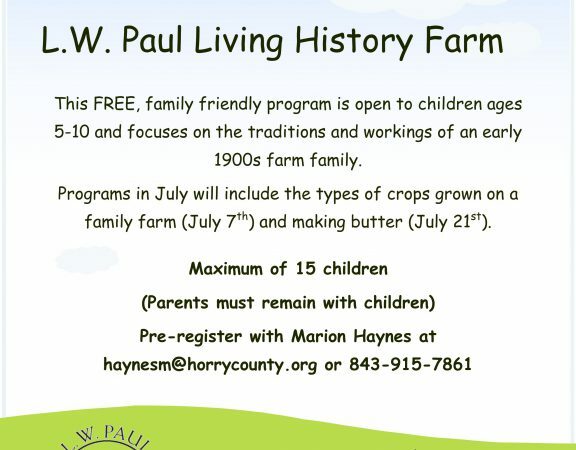 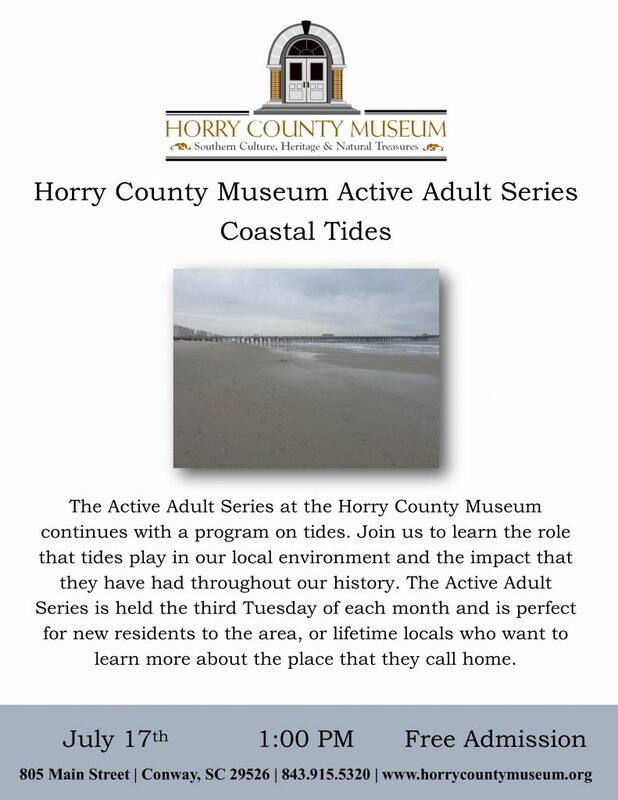 This presentation will be held on October 17, 2015 and begins at 1 PM in the McCown Auditorium at the Horry County Museum located at 805 Main Street, Conway SC. 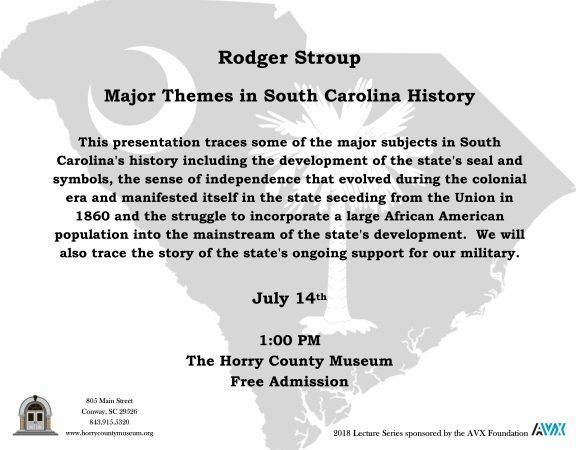 This lecture is free and open to the public.